The HORIBAJOBINYVON UVISEL Spectroscopic Phase Modulated Ellipsometer (SPME) is a unique instrument that features a photoelastic device which modulates the polarization without any mechanical movement. The phase modulation technology provides significant advantages in terms of performance and experimental versatility, such as performing advanced measurements of the degree of polarization, anisotropy and Mueller Matrix elements. 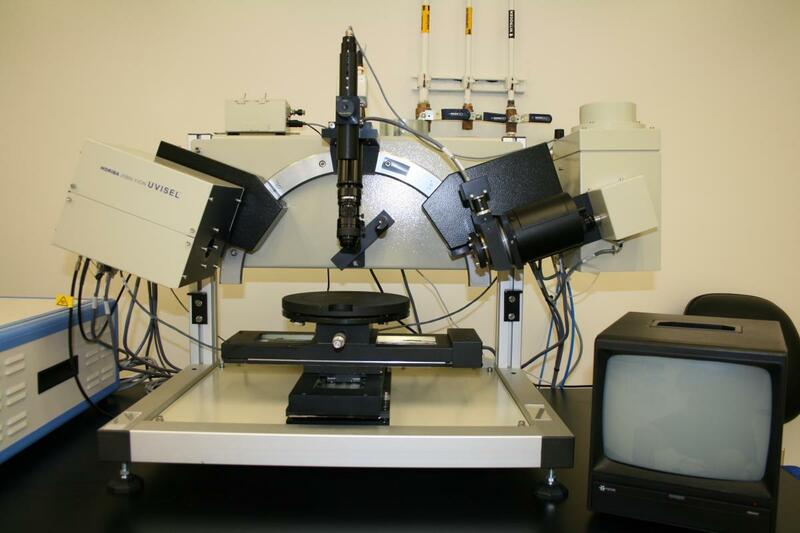 When compared to conventional ellipsometers, the UVISEL spectroscopic ellipsometer features high accuracy determination of the ellipsometric angles (Y, D) across a full range, which allows superior precision and sensitivity for transparent substrates, ultra-thin films, and films with low index contrast. The SPME guaranteed a rapid acquisition speed up to 1 ms/point, making the instrument an ideal solution for dynamic studies and liquid-surface measurements. It covers a wide spectral range from 190 to 2100 nm and offers a large range of automation features and accessories to best match the system capabilities to experimental demand. ……………………………………………………………………………………………………………………………………………………………………………………………………………………………..